← Beyond these 30 Days… Aaaack! 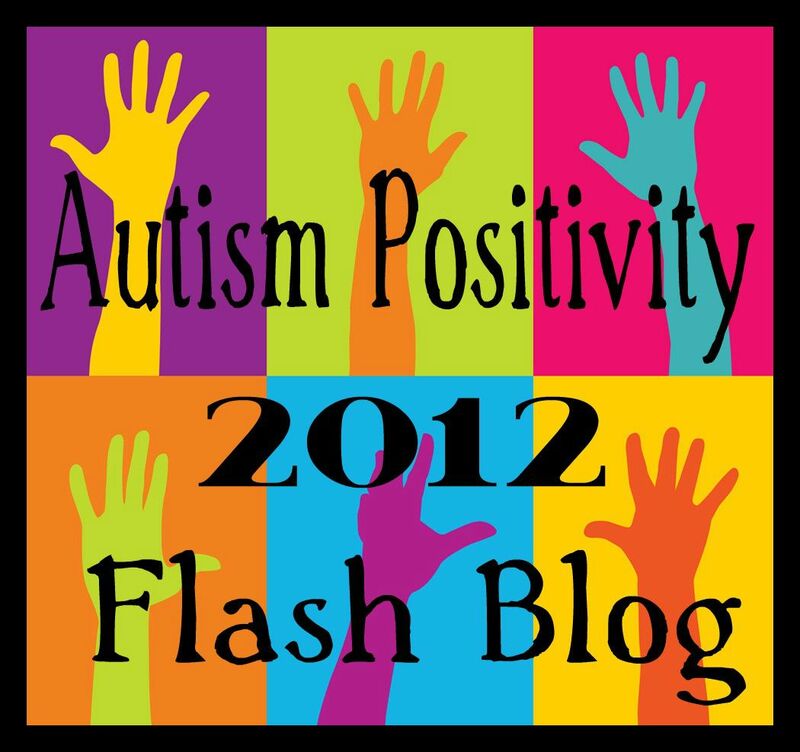 This Autism blog needs a new name!!! I do it metaphorically now… I love to consider perspectives. Some of the earliest thoughts I remember having were about how it could be that I could have a sense of me-ness, and how it was that this was contained in my own head. I remember trying to understand that my thinking and me-ness was different from others. I didn’t get how I got to be me – it baffled me how my thinking was matched up to something physical, and how it was that something I couldn’t see (thought) could be contained. I think this must have been my five-year-old level of pondering my existence. I was considering my sense of self... Kindergarten existentialism. When I was much younger than this… I was fascinated with my Tommy Tippy cup. There was a picture on it of a bear holding a cup… and on the cup was a bear holding a cup… and on the cup was a picture of that bear holding a cup. I remember thinking that if I could just see far enough in, I would see the world’s tiniest bear and cup, or that it maybe would go on forever: a Tommy Tippy Bear into eternity… I was captured… mesmerized. I catch myself noticing how I can actually see the molecules of water vapour in the steam from my coffee if the light catches it just right. I often wander about by the river looking at the world through my camera lens, contemplating river currents, looking for rocks, or just enjoying the time I have to myself. My thoughts are often now stuck fast to the paper in the form of writing… thoughts to perhaps revisit – or to share – but they still weave together surprising things and wind themselves forward and back. I find myself considering things from different angles still, and my thinking shifts and changes as I encounter new ways of seeing and different perspectives. I am learning so much from my experiences and from interacting with others… and pondering things from different angles. I am fortunate to be able to reflect back upon my own development and what I am able to recall of my thinking process and my sense of the emergence of self. This may have a certain relevance as I consider H’s cognitive process and our efforts to support his development. When I think back at how I struggled with the idea that I was alone in my head… and that my thoughts were solely mine, I can’t help but wonder about H’s journey and his understanding of the perspectives and experiences of others. And as this thinking winds back again upon itself, I must also consider that perhaps, that young-child-version of me was on to something; perhaps I should struggle more with this still. This entry was posted in Autism, Autism Positivity, connections, Episodic Memory, Journey, perspective of others and tagged Autism, cognition, consider perspectives, don't judge harshly, emergence of self, I am a work in progress, kindergarten existentialism, koan, perspective of others, Perspectives, relationship, thought, Tommy Tippy Bear, Tommy Tippy cup, under the table, writing. Bookmark the permalink. I totally had the same question. It used to come at night in bed when I couldn’t fall asleep. Found it rather frightening. I was something like… “Why am I me? Why is there a me? Why aren’t I God?” Pretty deep for little kids, weren’t we? It is interesting to find others who have experienced similar thoughts! And yes… I suppose we may have been pretty deep for little kids. It makes me consider my own children, and the students with whom I work, in a slightly different light. I try not to underestimate the potential depth of thought based on age. This story brought back a childhood memory of mine… how i used to love sitting under the dining room table playing with my doll, Suzie. Especially when the lace tablecloth was left on… it was like a little ‘tent’. One day I couldn’t find Suzie, anywhere. So I asked my mom to help me find her. Mom said, “Oh, that doll was all dirty. I threw her out.” OUCH!!!! This is kind of a mixed memory for you I suppose – partly a nice recollection and part of it about loss. I remember losing a stuffed animal that was very important to me… my mom didn’t seem to understand how it was like a person to me. I remember that OUCH feeling you describe!! Hugs to you! I enjoyed your cerebral and introspective post. As a young child, my only quests for knowledge concerned dinosaurs. I did not ponder such profound questions until my teens. What a gift you possess to have these sophisticated issues on your young mind! This is the root of tolerance. When you question enough, your perspective must shift. Each bit of knowledge compounds your worldview and wisdom. Thank you for this lovely comment and your kind words. This kind of thinking brought with it some real challenges as well, but I think you are right about it ultimately being a positive thing. I love your perspective about the root of tolerance. You have deftly stated in three lovely sentences what is took me an entire post to convey! Yes!! Yes!! YES!!! I use to sit under the table and play all the time. It was my hiding spot. My comfort spot. When I got too big I picked corners and even closets. I would play with my dolls. I would line them up brush their hair and think and watch. Mostly people ignored me while I was under there. I loved having thoughts that were my own. I later would always find away to share my thoughts but would only want to do so if I thought my thoughts would remain private. Is it any wonder I have a kid who is deep inside him self. Or a child who shares but has trouble sharing his more complex thoughts. I identified with the thought of teaching your child. Learning to support him his way. My husband and I noticed we were like our children because we knew how we learn. We knew our struggles and our personal growth we knew how hard we had to work to learn. To be like everyone else. To do it unsupported was hard for us. It was what drew us together. Now we have kids and they have to go through the same learning challenges and social challenges as we did. We often have to watch them and laugh. I watch them hide and create. But we are there to support them. We understand more than our parents did. Supporting our children is not easy because we still have to go through out own challenges . The part about learning about your self. Growing and pondering still as adults. I feel like I am the bear holding the cup and my kids are the next bear holding the cup and my grandchild will be the next bear holding the cup. An infinite number of bears holding cups. An infinite number of people on the spectrum trying to break free learn grow love and have kids. Thank you for your comment. It is so complex: our own experiences weave in with who we are in the present, and who we are as parents. 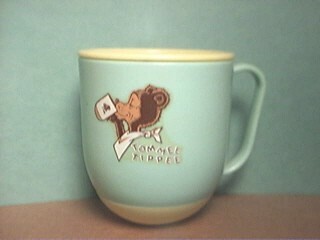 I like your image of the infinite numbers of bears holding cups. Finding our own way and supporting our children… this is tricky stuff! You expressed the layers of challenge involved so beautifully with what you wrote. I appreciate you sharing your perspective. I think this is what makes your writing so terrific…you’re great at stepping back, considering a new perspective, angle. You bring so much insight to your writing…it’s a very nice thing, and I think it opens up the perceptions of others as well. So, this post….a post about perceptions…it’s very fitting. And I like the idea of kindergarten existentialism. One of my favorite essays is “The Myth of Sysyphus” by Camus, in part an examination of the existentialists…I think it would be pretty funny if someone would re-write it as a kids book, with illustrations. Perfect for the kindergarten existentialist in all of us. m, thank you! Your words are high praise and I am honoured. I’m not even sure what to say in response to your thoughtful and encouraging comment, but please know I am moved. “All Sisyphus’ silent joy is contained therein. His fate belongs to him. His rock is a thing Likewise, the absurd man, when he contemplates his torment, silences all the idols. In the universe suddenly restored to its silence, the myriad wondering little voices of the earth rise up. Unconscious, secret calls, invitations from all the faces, they are the necessary reverse and price of victory. There is no sun without shadow, and it is essential to know the night. The absurd man says yes and his efforts will henceforth be unceasing. If there is a personal fate, there is no higher destiny, or at least there is, but one which he concludes is inevitable and despicable. For the rest, he knows himself to be the master of his days. At that subtle moment when man glances backward over his life, Sisyphus returning toward his rock, in that slight pivoting he contemplates that series of unrelated actions which become his fate, created by him, combined under his memory’s eye and soon sealed by his death. Thus, convinced of the wholly human origin of all that is human, a blind man eager to see who knows that the night has no end, he is still on the go. The rock is still rolling. I too, love the idea of nurturing the kindergarten existentialists in all of us! There is something ultimately freeing, in terms of self-determination, in imagining Sisyphus happy. That is the ultimate rebellion – methinks! Perhaps the book should be titled: “Sisyphus the Scofflaw” and it would include an appendix of tongue twisters (see below). (And on a final note, as a lover of word games and such, I challenge all of us to attempt to say ‘Myth of Sisyphus’ 5 times in a row! It may actually be more difficult that my previous favourite tongue twister: ‘Unique New York.’) *Hee hee! So much of what Leah and those commenting here say, speaks to the dynamic of presuming competence. To authentically and usefully frame that presumed competence, we have to be living it ourselves, have to be able to talk about it richly, have to get to where our children are living out that competence today. Some call what Leah richly evokes, reflexivity. Autistic children develop along developmental-pathways which a mainstream does not register, re-cognise, or talk about. Pathways involving just such rather magical dynamics and competences. The more richly and authentically we can talk about and make-visible these pathways, the more our autistic children will be able to frame and developmentally-clamber across their own experiencing.